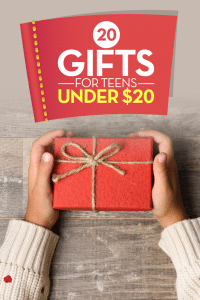 Do you need a great gift idea for a couple? Whether you need an engagement gift, an anniversary gift, a holiday gift or a just-because gift, you’re sure to find the perfect present on this list of gift ideas for couples. Celebrate your favorite couple with one of these great gifts. 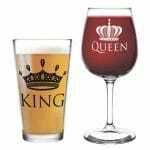 This set of one beer glass and one wine glass is embossed with ‘King’ and ‘Queen’. This is a perfect gift for the beer-and-wine-loving couple in your life. It gives them a great way to share their favorite drinks after work or a date night. This makes a perfect gift for couples for the holidays, anniversary, housewarming, etc. 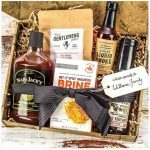 Each Taste Trunk includes: Bourbon BBQ & Grill Sauce (gluten free), Hot & Spicy Habanero Brine, Tri-Tip Meat Marinade, All Natural Liquid Smoke, Korean BBQ Jerky, and chef-inspired BBQ recipes printed on easy-to-use cards. Personalize it with a free custom gift card and choose your delivery date. This trunk comes gift packaged and ready to send. No receipt or pricing info is included inside. 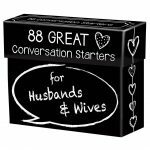 Any couple who has ever run out things to talk about that doesn’t involve work or the kids, will love these 88 conversation starters for husbands and wives. Couples can get to know each other all over again with these helpful cards. 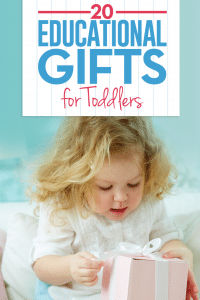 will delight everyone on your gift list! Every Premier Series Wine Club Gift also includes a bottle stopper, a guide to the winery, tasting notes, and access to The California Wine Club’s Personal Wine Consultants who can answer wine storing and serving questions, and suggest wines and wine pairings based on tasting preferences. Even the couple who has everything probably doesn’t have this. A 3-year journal for couples is a lovely way for couples to share their story with each other and their children in years to come. The helpful question prompts give couples something to write about on days when they can’t think of anything to say. Do you know a couple who loves to spend date night at home instead of going out? Whether they are introverts or simply frugal, this date night box has everything they need for a lovely evening in. Does the couple on your gift list love coffee? 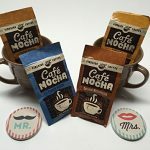 If so, they’ll love this coffee lover’s gift basket, which comes with two mugs, his and hers coasters and a variety of coffee. This beautiful silver key on an organza ribbon comes boxed with a lovely poem that will inspire any couple to make their marriage stronger and happier. When displayed, it serves as a great reminder of how to keep a marriage alive. 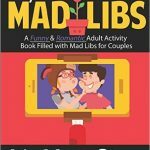 MadLibs for Couples is perfect for the fun-loving couple in your life. 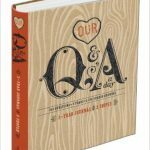 It contains 92 pages of laughter, silliness and love and is a great conversation starter for couples. Picnics are always a romantic date choice. 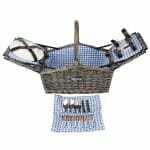 This picnic basket for couples contains everything your favorite couples needs for their own romantic picnic. From plates, wine glasses and flatware to plenty of space for delicious food and wine, this is a great engagement or wedding gift. 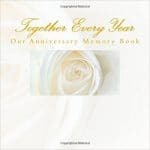 A lovely anniversary memory book is a great way to record special dates and events that occur over the years. This beautiful book has plenty of pages for the couple to write about their special memories. Celebrate love with this simple but bold picture frame. It comes with two slots for a couple’s favorite photos of themselves, which are surrounded by the word LOVE. 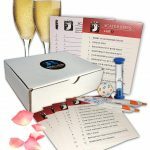 Marital Reaction Card Game for Couples is a great gift idea that can be used immediately at an engagement or anniversary party. This card game provides 52 conversation starters that help couples get to know each other better and talk through scenarios that could occur in marriage. 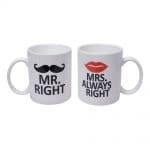 If you’re looking for a functional and fun gift for couples, this coffee mug set should be on your shopping list. Labeled with ‘Mr. Right’ and ‘Mrs. Always Right’, they are as adorable as they are perfect for coffee lovers. For the couple who has found each other to be perfectly matched in their weirdness, these fun pillowcases help them to celebrate their love. 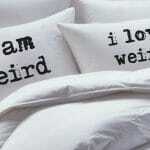 With the words ‘I am weird’ on one and ‘I love weird’ on the other, they are a fun way to celebrate mutual ‘weirdness’. This adorable metal couple-themed wine tool set is great for wine loving couples. 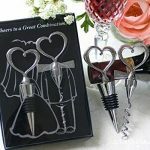 Celebrate your favorite couple with this wine stopper and wine bottle opener set. 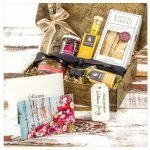 The Gourmet Chef is a full three course gourmet gift in one box. The Strawberry & Blackcurrant jam, Mushroom Truffle flatbread and Cherry Tomato Tapenade make for a delicious round of appetizers. Each product comes with chef-inspired recipes printed on easy-to-use cards. Personalize it with a free custom gift card and choose your delivery date. This trunk comes gift packaged and ready to send. No receipt or pricing info is included inside. Help your favorite couple get organized with these his and hers custom key holders. The key insert feature keeps keys from being bumped off the holder. Their fun design is also good for lighthearted couples who enjoy a chuckle. For the couple on your list who is celebrating their silver anniversary these silver-accented ceramic mugs are a gorgeous gift. The wording “25 wonderful years” adorns the mugs and a pretty silver heart is displayed in the center. If the couple on your gift list is adventurous this book is a great gift idea. 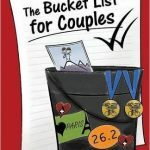 The Bucket List for Couples book allows couples to work together to create a list of things they want to accomplish as a couple. The book is divided into six categories – Travel, Adventure, Career & Finance, Relationships, Personal Development and Community. 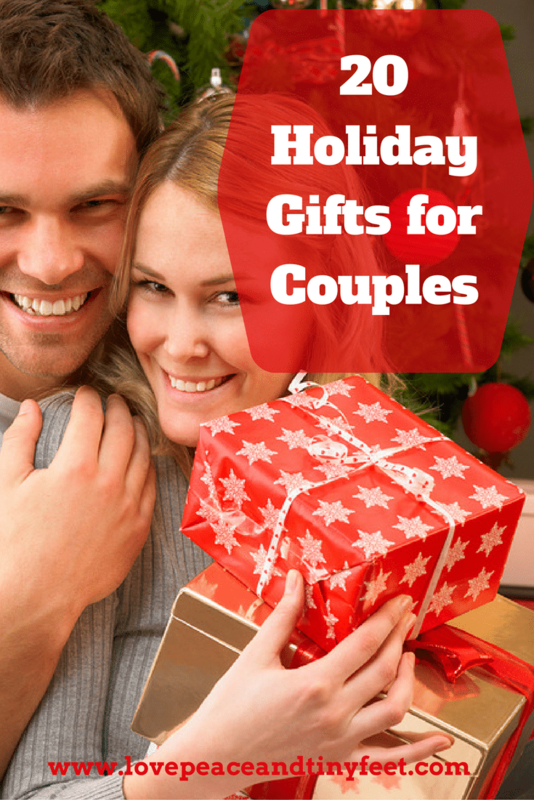 Couple gifts are fun to shop for and to give. No matter who the couple on your gift list is, they are sure to love one of the gifts from the ideas above. Show them how much they mean to you and celebrate their relationship with a great gift. Want to be featured in our Gift Guide? Email me at lovepeacemommy (at) gmail (dot) com. to get started! Such great ideas. I always get my BFF a holiday gift both she and her husband can enjoy. I was running out of ideas, but this list really helps. I loved all the ideas you have here! My husband and I do a lot of things together so we would love some of this items for Christmas too. Do I have to share them? The 88 conversation starters is a good idea. That’d be a fun gift idea too. Thank you for the suggestions. I do have some couple friends that would love these gift suggestions. Now I don’t have to look for couple shirts this year. These suggestions are way better. Thanks for sharing. Those are all cute ideas! They’re definitely something that I would consider giving couples especially the newlyweds this Christmas! 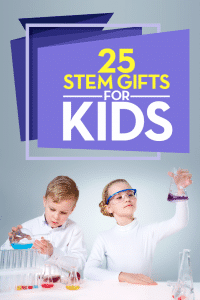 Omg so many cute gift ideas!!! I’m loving the king and queen wine glass set!!! Perfect choices! I really love the picnic basket for couples. It’s a very romantic gift.